When the Skagit County Board of County Commissioners asked me to serve on the Skagit County Flood Control Zone District Advisory Committee, I told them that there were two things I brought to the table. One was my documentation of the history of the flood issue and the other was my experience with the 1979 Levee Improvement Project (1979 Levee Improvement Project Historical Index). One of my goals was to try and make sure we did not go down the same path we went in the 1970’s and end up with a 71.4% voter rejection at the polls. (Source: 11/7/79 SVH) I’m a strict floodplain management advocate, meaning that only farmers belong in floodplains. I also wanted to make sure that no proposed project would promote more development in the floodplain. I realize of course that Mt. 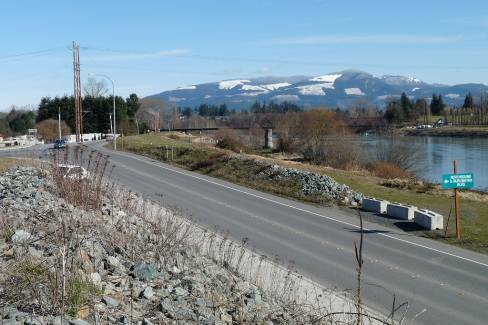 Vernon and Burlington have raced with each other to sprawl their cities into the surrounding flood-prone farmland and now need to focus on reducing the risk level inherent in their poor planning practices in order to promote more of the same. Most importantly, I firmly believe that before any sales or property tax revenues is proposed to pay for a flood control project, the voters must be allowed to approve or disapprove of said expenditure. On February 13, 2009, Burlington issued a Draft Environmental Impact Statement (“DEIS”) on its “Strategic Program for Comprehensive Flood Hazard Mitigation” program. (Draft Environmental Impact Statement). Government agencies and citizens were encouraged to comment. Seventeen months later on July 16, 2010, the City issued its Final Environmental Impact Statement/FEIS To Adopt A Strategic Program for Comprehensive Flood Hazard Mitigation. Sadly, there were only 15 comment letters submitted, (Citizens 6; Hospitals 1; Developers Attorney 1; County government 1; Federal government 1; State government 1; Tribes 1; Dike Districts 2; Citizen Groups 1) the majority of which were not even from Burlington residents, and the majority of comments were completely ignored by the City staffers and consultants. Unfortunately, I feel that Burlington’s FEIS is taking us down the same path as 1979, and once again, – whether through ignorance or contempt for the voting public -- the Burlington City staff and some of their private consultants have doomed any countywide effort to failure. Perhaps this is because none of the contributing city staffers was here in 1979 or even lives in Burlington City limits for that matter or even worse, they just don’t care. Given the history that was made available to them their document and the verbiage it contains is inexcusable. This speaks volumes about not only the irresponsible land use planning of the City Planning and Building Department, but goes to the effectiveness of the FIRM adopted in 1985. The FIRM did not slow or prohibit growth in an area with a long history of flooding but enabled and promoted growth by providing flood insurance through the NFIP. Nevertheless, it is nice to finally see the City Planning Department publically admitting to recklessly endangering “over 1,400” newly-arrived families over the course of the past fifteen years. 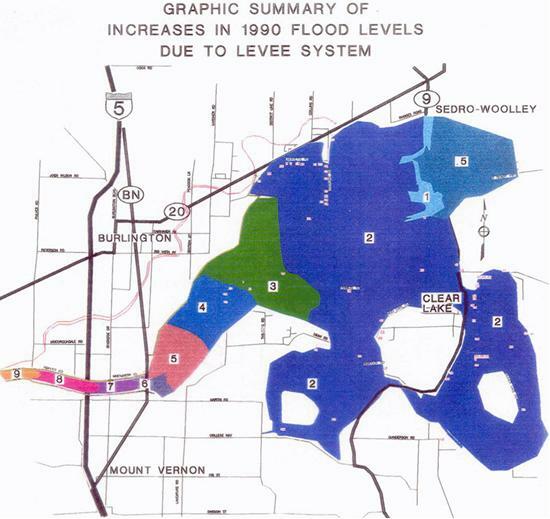 This hydraulic study of the impacts of the Burlington “levee system” shows that during the 1990 and 1995 flood events the amount of water “induced and artificially stored” on upstream property owners is anywhere from ½ foot at the Sedro-Woolley Sewage Treatment Plant to 4 feet upstream of the BNSF Railway Bridge, to 8+ feet in the 3 bridge corridor. By using verbiage like “to the extent possible”, Burlington is admitting that they know that raising the levees will have adverse impacts on upstream property owners. As page 22 of the DEIS so aptly put To gain the required three feet of freeboard under any hydrology and hydraulic scenario that is currently on the table, a range of between two and five feet of additional levee height will be required. 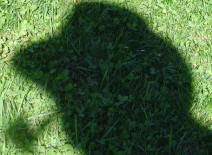 Three to five feet cannot help but aggravate an already intolerable situation. How anyone could sleep at night knowingly putting their floodwater into others homes and businesses is beyond me. The ugly fact of the matter is that the Burlington City Staff simply doesn’t care about the manner or extent of the harm their plan will cause to their upstream and downstream neighbors. Given the known flood risk which presumably the City has known since 1897 and at a minimum since through its own admission the 1985 FIRM referenced above, wouldn’t it have been more prudent to have limited commercial and residential development to keep people and commercial establishments out of harm’s way? If we reward stupidity, doesn’t that simply encourage more stupidity? As I have said on many prior occasions, rivers and their floods do not cause damages. However, building a city on the bottom of a river’s floodway does cause damages. Once again, it is nice to see that Burlington had knowledge of the “known flood risk” and must have decided that the risk was worth taking to allow “Over 3.5 million square feet of commercial and industrial construction and over 1400 dwelling units have been built between 1995 and 2008.” But most shocking about the above statement is that Burlington is announcing pretty much “The hell with the rest of Skagit County, we’ll do whatever we want to do.” What this means is that if Burlington and Mt. Vernon are taken out of the 100 year floodplain, all the time and money that has been spent on the Corps of Engineers GI Study will be for naught because without Burlington and Mt. Vernon there is insufficient cost to benefit ratio for projects to protect all the other floodplain residents. The public should raise their taxes to pay for this why?? The Burlington City government doesn’t seem to care about anyone but itself. So Burlington after all these years finally admits that the levees were designated as floodways along with adjacent areas, although with no FEMA documentation to support the statement they state Floodways in Burlington consist of all areas riverward of the riverward toe of dikes and levees along the Skagit River.” (Source: FEIS page 12) That statement is just untrue. As such, fill is prohibited in the floodways, meaning that all the “improvements” as in adding 2 to 5 feet of fill to the current levees would be prohibited. In addition, what Burlington has not stated is that the Dike District filled large portions of the 300 feet with fill in an attempt to provide a “back slope” to allow for overtopping. Of course, there were no permits obtained for such activity nor any correspondence with FEMA produced to get their blessing to fill the floodway. While I applaud the activity of the Dike District to provide for the back slope with respect to overtopping, there should have been permits issued for such activity and FEMA should have been consulted in order that local property owners would realize that the floodway had been moved. FEMA’s Washington DC Office informed the City of Burlington that the levees were designated as floodways in 1984. #5. The August 2005 City of Burlington’s Updated Surface Water Management Plan describes the capacity of Gages Slough as follows: “The majority of Gages Slough and the Pulver Road Pump Station have the capacity to transport an undetained 25-year storm……Gages Slough and Gages Lake are a series of wetlands that flow to a pump station, which pumps into the Skagit River.”. . . During a 25-year storm, undetained flows within Gages Slough were calculated as reaching a maximum velocity of 1.4 feet per second. Velocities less than 2 feet per second are considered non-erosive. Again, I’m unsure why Burlington put the verbiage in the FEIS about a 25-year storm. Isn’t this whole process supposed to be dealing with the 100 year flood event? They already had a “study” on Gages Slough performed for the Cascade Mall which was accepted and approved by the City Council. (See Summary Report for DEIS - Hydraulic Investigations: Cascade Mall at Burlington, and the Supplemental Hydraulics Investigation to the Cascade Mall.) According to those “Investigations” during a 100 year flood Gages Slough velocity would be anywhere from 3.0 feet per second to 10 feet per second depending on your location along the slough. The velocity of the 100 year flood across I-5 adjacent to the mall was stated to be 4.2 feet per second. Really? So 1,400 residential units, and 3.5 million square feet of commercial and industrial development all built on land fill, most of which is east of Interstate 5 that already raised the flood water levels several feet, all that only raised the 100-year flood levels by .37 feet? All that development and at no point in the community were the BFE’s raised 1 foot. Given the 6 inches of double sided documentation to support the DEIS and FEIS I wonder why the City didn’t include that study? My apologies to Burlington if it is buried somewhere in all that paper but I cannot find it. Then there is the question of how the “study” was conducted? Was it conducted within the community boundaries or across the entire 68,000-acre lower valley floodplain? Amazing that in 1982, on behalf of FEMA and at the request of the Flood Control Committee, using the entire lower valley floodplain in its analysis, the internationally recognized hydraulic consulting company of Dames and Moore determined that on an average only 10% of the lower valley could be developed before flood waters would rise 1 foot. (See 1982 Dames & Moore Report) Applying that to individuals who own property they could develop 5% to 14% of their property depending on their location within the 68,000 acres. The regulation does not state that you can’t raise flood waters more than one foot across the floodplain; rather that rule applies at any given point in the community i.e. Burlington proper. What right does the City of Burlington have to use the development rights of residents outside their community to calculate the impacts of the City’s development? The answer should be obvious; they have no right to do so. 4 feet of fill material placed on the riverward side of the levee in 1990, in the floodway just 6 years after the adoption of the local flood ordinance. Four feet of fill in the floodway. See discussion in #4. Nothing was said about any rock. But this is how Burlington twisted all the comments submitted to it. I urge everyone who took the time to submit a letter to review how their comments were treated. Did the City provide an in depth analysis and an honest attempt at addressing your concerns or did they just blow you off as quickly and unprofessionally as possible as well as misrepresent what you had to say? The Burlington FEIS is misleading and an unprofessional disappointment. It falsifies historical facts, layers on an additional helping of half-truths, and ignores the comments from a broad range of citizens and entities. The Burlington FEIS ignores years of prior studies, relying almost entirely on Burlington’s present flood consultant. I would submit that when you hire consultants who only tell you what you want to hear, your gullible government employees – who aren’t spending their own dollars —do nothing but create a giant and unnecessary waste of money. While staff is busy misappropriating and wasting $300,000 from the Burlington Drainage Utility to fund an appeal of the FEMA BFE’s, in my opinion an appeal they cannot win, the City of Burlington is busy laying off police officers and sacrificing the safety of its residents. It’s completely outrageous. If FEMA was truly interested in good floodplain management instead of protecting their cash cow, they would kick Burlington out of the NFIP. They under no set of circumstances should consider certifying their levees based on the information or lack thereof in the FEIS. Burlington has broken every aspect of the 1985 FIS. There is no reason to trust them to implement and uphold the NFIP standards in 2010. Based on the lack of professionalism of the FEIS and outright falsification of the material submitted to them, the City of Burlington should receive no public support in either their appeal of the FEMA BFE’s or their proposal in general.